What’s become the fastest-growing portion of the ever-expanding Myrtle Beach housing market was once no more than a piece of rural eastern Horry County known as the Buist Tract. Carolina Forest housing was once covered in dense foliage and longleaf pines, the 30,000 acre Buist Tract plot that would become Carolina Forest was purchased by International Paper in 1937 for its potential in paper producing. Over the next 60 years the area served various uses — including being used as a gunnery and bombing range during World War II, being donated to form Lewis Ocean Bay Heritage Trust Preserve and later becoming home to the area’s most prominent hub of higher learning. Coastal Carolina Junior College, founded in 1954 as a charter of the College of Charleston, became the Coastal Carolina Campus of the University of South Carolina in 1960 after International Paper donated a part of its land for the development of the college. Coastal Carolina University was awarded independent status in 1993 and over the past two decades has grown its enrollment to nearly 10,000 students, while continuing to expand its campus and infrastructure. 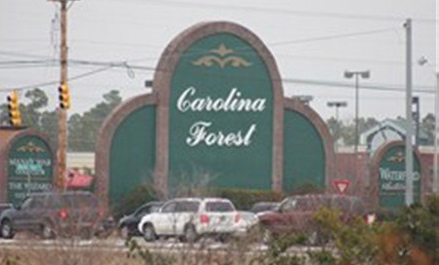 In the mid-1990s the vision of Carolina Forest as the area’s first master planned community began to take shape with International Paper selling more and more of its land and helping to develop the backbone of the area’s two main roadways. With both Carolina Forest Boulevard and River Oaks Drive completed, in 1997 Horry County put its stamp of approval on development of the area by voting to freeze zoning rules for more than 7,000 acres of land that would accommodate roughly 35,000 residents over the next 20 years. As development began to take off, three schools were built to accommodate incoming residents including Carolina Forest Elementary School (opened in 1996) and Carolina Forest middle and high schools (opened on a shared campus in 1997). By 2000, the population of Carolina Forest had grown to nearly 3,400 residents — according to census data — but that increase was nothing compared to the more than 500 percent increase in population it would see over the next decade. During the early part of the decade a number of new developments popped up. 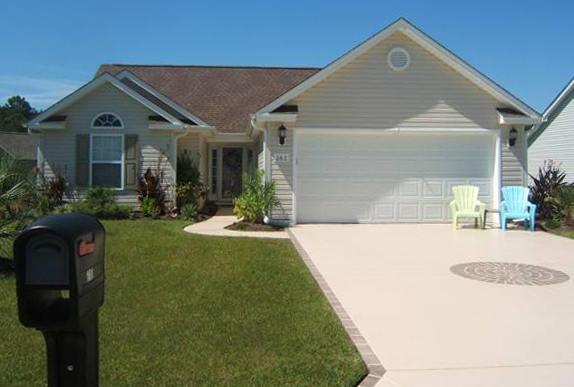 Subdivisions such as Avalon (2000), Walkers Woods (2000), Black Creek Plantation (2002), Bellgrove (2003), The Farm (2003), Plantation Lakes (2003) and The Bluffs (2003) provided plenty of new Carolina Forest homes for sale. As these developments grew, added traffic put stress in the roadway infrastructure of the area. 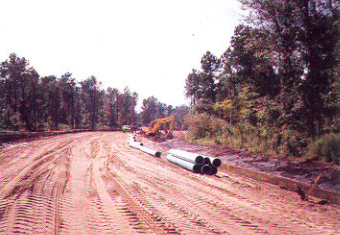 Though the original agreement between Horry County and International Paper did not require the widening of Carolina Forest Boulevard or River Oaks Drive to four lanes, in 2004 roadway expansion began with a third lane added in certain areas. In 2006, the Carolina Forest schools saw a major shake up as attendance had doubled at the elementary school — with many kids being taught in portable units — and the the middle and high school complex also approached its capacity. Carolina Forest Middle School was then closed to make room for expansion of the high school, while two new schools — Ocean Bay Middle School and Ocean Bay Elementary — opened that year in an area along International Drive to help alleviate the overcrowding. In 2007, the area’s first community newspaper, the Carolina Forest Chronicle, was launched by Waccamaw Publishers being distributed weekly to roughly 13,000 residents in the area. Throughout that year and into 2008 road expansion continued with more widening — up to 5 lanes in some areas — to accommodate growing retail and restaurant development at both ends of Carolina Forest Boulevard. In 2009, the Carolina Forest Civic Association was established in an effort to represent the people, businesses, and the organizations of the community and ensure a voice for residents throughout all levels of government. Since forming the group has addressed a variety of issues ranging from roads and bike paths to increased public safety, economic development and annexation and tax issues with Myrtle Beach. 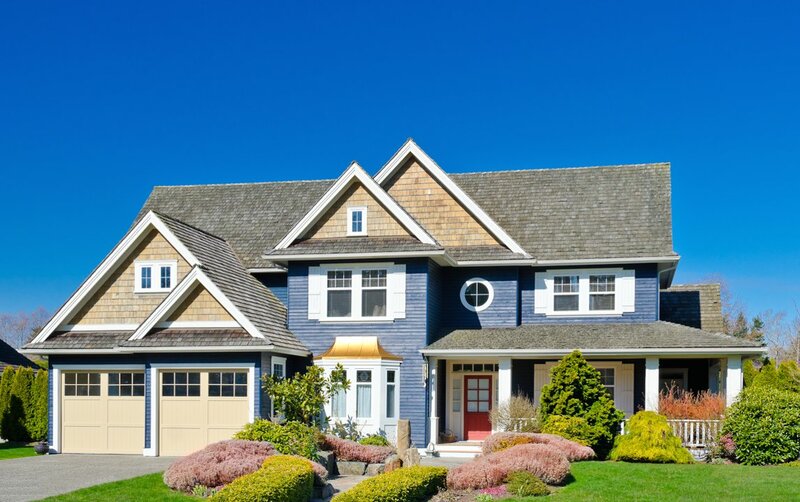 Though the rapid pace of housing development has slowed over the past several years with the national housing bubble and recession, overall growth of the community continues. According to census data, the area now houses well over 21,000 residents. In 2010, construction began on the area’s first major community projects, a community center and library located near the center of Carolina Forest Boulevard. The $4 million Carolina Forest Community Center opened in spring 2012 and features a gym, walking track, multipurpose meeting rooms and an exercise room, plus an open lobby with room for games. 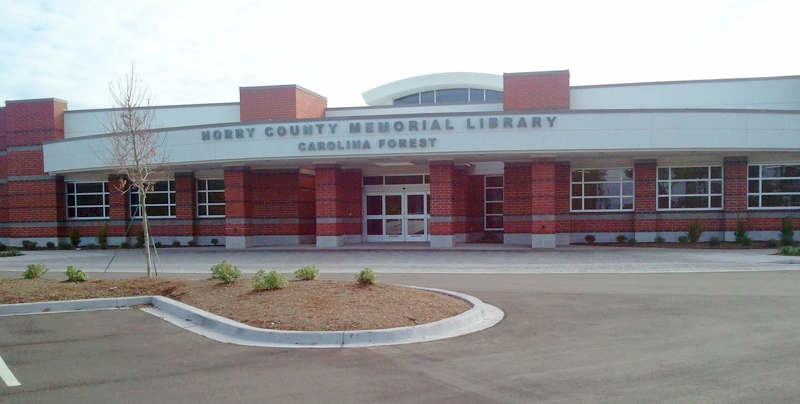 The Horry County Carolina Forest Library opened that fall. The 20,000 square foot facility features children's and young adult areas, 24 computer stations, a public meeting room, a conference room and a large play area — known as the Palmetto Adventure Land playground — out back. Some of the area’s most recent developments have taken place near the intersection of International Drive and Carolina Forest Boulevard. This area, which will be the gateway to an International Drive extension — scheduled to begin in 2014 — will eventually include a new gas station, grocery store and several other retail shops. Several areas including The Farm, Waterbridge Plantation and others are continuing to expand. Overall, Carolina Forest home sales are up significantly since last year and median home prices continue to be on the rise, making now a great time to buy in this beautiful community. For more information on the history of the area or details on Myrtle Beach homes for sale in the Carolina Forest area, please don’t hesitate to contact us or give us a call at 843-839-9870.